Tucked away in a warehouse gym, in the center of San Diego at a secret, INVITE ONLY event. You see, the information we were sharing at this exclusive seminar dismantled nearly all of the mainstream workout and nutrition “wisdom” you hear about today. Yet, as you will come to find out in a minute, the 9 lessons we shared with this exclusive group will make perfect sense to you. Now, why are we openly sharing these 9 lessons with you today when others spent almost a $1,000.00 each to learn them? Well… You’ve probably noticed a recent surge of study quoting, polo shirt wearing weaklings, parading about as if they knew everything about how to get you the best results, right? 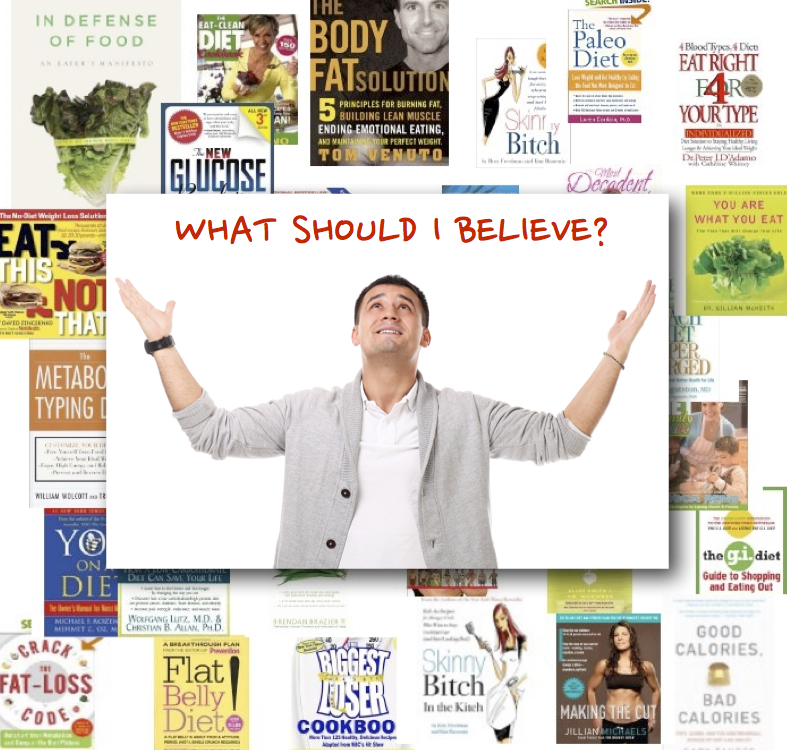 The problem is… These so-called “trainers”, “experts” and “gurus” NEVER practice what they preach and seldom do they ever actually help anyone make a permanent change in their physique, performance and health. Just let me ask you this… Aren’t you sick and tired of these armchair experts preaching about the latest findings of the tabata study and touting the benefits of HIIT? Of course you are and we are too which is why we wrote these 9, Short and Specific, No B.S. Reports. We want to make sure you know the TRUTH about how to get the best results possible while learning our secrets to becoming the best version of you! Our solution is to ditch the studies, heck, ditch the mainstream info altogether and take you step-by-step through what it will take to build a body that looks great and performs even better. You’re probably sick of the insane amount of B.S. ab workouts available today. It seems like there’s a NEW AND IMPROVED ab training system that get’s released every week, right? But what happens when you invest in these systems and give them an honest shot? Maybe your abs burn a little and maybe there’s a slim chance that you will build some strength, but there is ZERO chance that you will develop a strong, lean, shredded six pack using these ab gimmicks. Instead, the best thing for you to do is to look towards the people who have actual 6 pack abs and find out what they are doing to get there. So who has the best abs on the planet and what are they doing to get em? You probably already know the answer, right? Gymnasts are known for there insane abdominal strength and development, but not very many people study and even fewer actually use their time tested ab training methods. You would probably be surprised that Gymnastic ab training takes a lot less time then you think to complete. In fact, with just 10 minutes of structured and specific gymnastic ab training a few days a week you can pretty much guarantee that you will develop awesome abs. The secret lies in the sport’s use of progressive movement training in a specific sequence to make sure you are never wasting your time doing an exercise that’s too hard or too easy for you. It doesn’t matter if you are young or old, man or woman, using gymnastic based ab workouts is without a doubt the best way to build awesome abs! You’ve noticed a HUGE rise in the popularity of bodyweight workouts in the last decade, right? The original intention was great, but where it has gone today is absolute B.S. There’s no reason for anyone in the world to be in front of their TV while following along to one of these insane infomercial workouts that guarantee results if all you do is workout 90 minutes a day, 6 days a week and eat nothing but leaves and chicken for a few months. If this is you then they have you fooled! I could have you dig a hole for 90 minutes a day 6 days a week on a diet of leaves and chicken and you would still get great results, right? They never focused on sets and reps, they focused on the movements!!! Instead of focusing on how many sets and how many reps you can do of basic exercises like pushups and squats, try focusing on how difficult and complex you can make these movements. When you do this, you will not only unlock your true physical potential, you will also see a transformation in your body that you cannot get any other way! 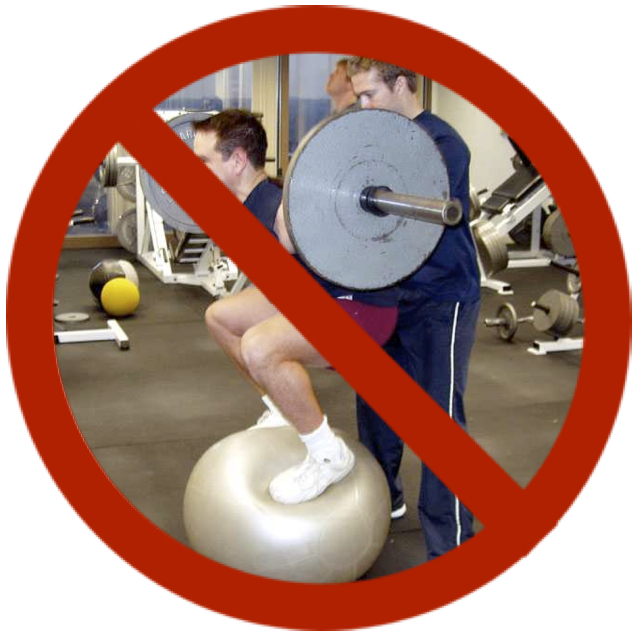 Many popular fitness experts are advocating the use of maximum tension to move the most weight. What they aren’t telling you is that when you manufacture un-needed tension you actually increase your susceptibility to injury. That’s NOT Good! Instead of listening to the “experts” and ending up with a blown knee, torn rotator cuff, tendinitis in your elbow or back pain, you should probably follow an entirely different model all together. Have you ever watched your favorite sports star play and wondered to yourself why he makes it look easy while many of the other players seem to force effort? There’s a saying that goes like this, “amateurs make their sport look hard, professionals make their hard sport look easy!” In order for you to get the best possible results with every workout and on every exercise you should seek to only use as much tension or effort as is necessary to get the job done. No more and no less. By doing this, you can retrain your nervous system to perform “difficult” tasks efficiently which will allow you to get more work done faster and build more strength quicker. This all translates into better results with less effort! If all you do is follow the 5 time tested tips above you will already be ahead of most people and well on your way to becoming a leaner and healthier version of you! Have you noticed that many of the most popular workout routines are pitched as the toughest, most grueling workout on the planet? Their goal is to convince you that the only way for you to get great results is to work until you puke! While intensity has it’s place and is certainly important when designing a result producing workout routine, it should never be prioritized over your enjoyment of the actual workout. Would you rather follow a workout program that you enjoy doing, or force yourself to keep up with the B.S. intensity based workout programs out there that make you feel like you are suffering? And… even further… which workout routine do you think you will actually stick to? 61% of those people quitting in the first 7 days! The real trick to success with your workout programs is enjoying what you do and being consistent. If you approach your workouts with more of a play based mindset choosing to do things you enjoy to do, you will get better results because it will be easier to stay consistent. And consistency is the real reason people get results, NOT intensity! Ditch the parts of your workout that you don’t actually enjoy to do and replace them with exercises/protocols that you look forward to doing. When you do this, you will effortlessly stick to your workout routine and this consistency will get you better results then you’ve ever had in the past! 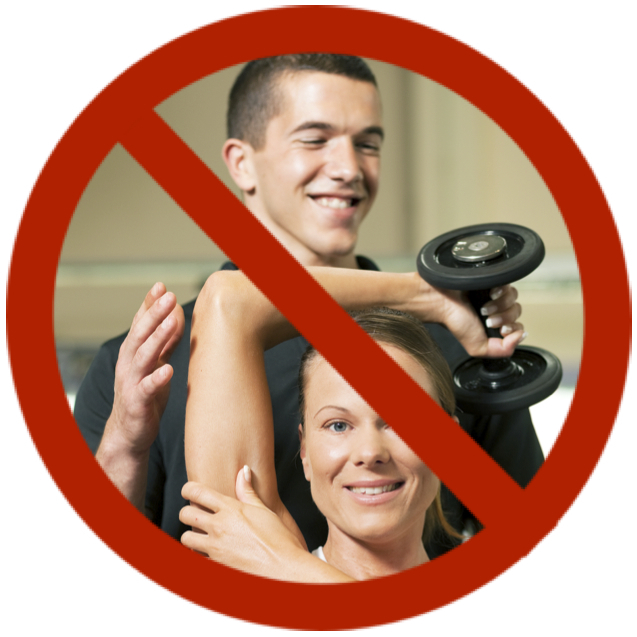 I’m sure you will agree that most people who workout (maybe even you) only use a handful of exercises in their workouts. The reality is that most people aren’t aware of the many variations of each exercise you can perform to bust through plateaus and experience more enjoyment in your workouts. Now… We’re not telling you to go out there and do some of these B.S. ridiculous exercises that don’t do anything to help you get anywhere closer to your goal of looking and performing your best… far from it. Instead, what you need to do if you want to build an awesome athletic body is stay consistent on the basic movements like presses, pullups, squats, deadlifts, bench presses and rows. From there, switch things up and practice variations of these exercises to keep things fun, different and to ward off any potential plateaus. An easy example of this is squats… You can do barbell back or front squats, one leg squats, step ups, overhead squats, jump squats or even lunges. With each of these variations you are still training the same muscles that you would with squats only in a slightly different way. By using variations on all of your exercises, you will avoid boredom and plateaus while having much more fun with your workouts! Here’s the deal… Most workout programs give you a cut and dry routine that they claim works on all people. The truth is, unless that workout program adapts to it’s user, it is only gonna work on a small population of the people using it. If you really want to get the best results possible, you need to learn to create workout programs for yourself that fit your individual goals and your individual lifestyle! You are literally the only person on the entire planet with your exact goals, lifestyle and workout needs, so why do you listen to what other people are telling you rather then create your own workout routine. We’ve already given you enough tools in this article to create your own program and if you want to get the best results for you then you need to start experimenting with creating workouts that fit your needs. When you do, your results will skyrocket to another level and you won’t ever have to listen to another ‘fitness expert” again! YOU will be in total control of your body!! These are positions that you normally wouldn’t go into unless you accidentally used bad form or were pushed into these potentially injurious positions during an acute injury. But… The interesting thing about this is that tissue adaptation, where you ligaments, tendons, bones and muscles get stronger can actually happen in these positions of compromise. What this means is, if you strategically expose yourself to an array of common positions where people normally would get injured, you can become less likely to get injured in those positions and actually build a more resilient body then if you avoided these positions all together. Now… You need to be smart when adding this into your workout and we always advise that you listen to your body first and foremost and start very slowly. But, if you use this extremely advanced technique as a part of your warm up routine, expect to build a bulletproof body that rarely if ever gets injured! Perhaps the biggest reason most people fail to see a dramatic change in their body year after year is their mindset. You see, the mainstream would feed you some B.S. study talking about the statistical reasons you aren’t getting the results you want, saying it wasn’t your fault and if you just took some supplement it would all be better, right? The truth is, if your not getting the results you want out of your workouts, you don’t have the right mindset. In fact, what if I were to tell you that at the seminar I told you about at the beginning of this article one attendee wanted desperately to do a muscle up. He had done a rep or two in the past but just couldn’t manage to master them. One of the presenters who you are gonna meet in a sec, took him through a series of advanced visualization and self hypnosis drills and within 5 minutes, he not only did a perfect muscle up… He did perfect muscle ups for REPS!!! This is a 100% TRUE STORY that highlights how powerful your mindset is in your workouts. In fact, before your next hard set, try to just imagine in vivid detail you doing the entire set, every single rep with perfect form easily and confidently. When you do this you will notice how much easier it felt and how much stronger and more confident you were. We’ve just shared with you these 9 powerful B.S. Reports so that you would know the absolute truth about what works and what doesn’t work if you really want to make a permanent change and build a strong, lean and athletic body. If you’ve read this far, we know you are serious about your workouts and you want to be on the cutting edge of what delivers the best results possible, right? We do too! That’s why between the 3 of us we’ve invested more then $100,000 <— NOT A TYPO in learning the most cutting edge training techniques from some of the worlds top experts in strength and conditioning, acrobatics, nutrition and mindset. And each of us has dedicated their lives to helping serious people like yourself get the best results possible! So… Why should you trust that we are the real deal? 99% Of What You Are Told Is B.S. Through a fateful series of events (too big of a story to go into now) Travis, Logan and I decided that we wouldn’t stand for this any more and decided to hold a one time only seminar where we would blow the lid of the mainstreams river of lies and reveal the truth as we had come to see it. We affectionately called this event, “The No B.S. Strength Secrets Revealed Seminar.” Like I said, in the beginning of this story, 16 individuals flew from around the country to attend and this was their reaction from the information we shared with them. Here’s Your One Chance To Get Access To The EXCLUSIVE Information That We’ve Only Shared With 16 Other People! Since we knew how valuable the information we were sharing was gonna be and we knew that only a small handful of people would be able to afford the cost of attending this advanced seminar. We decided that just in case we ever wanted to make this information available to the public, we might as well film the entire event. A quick and easy athletic warm up used by a CrossFit Games Competitor that covers every common flexibility issue so you can prepare your body for ultimate performance. A step-by-step approach to abdominal training that teaches you how to go from a weak and flabby core to strong and shredded 6-pack using training techniques only taught to high level gymnasts. The best way to work up to doing complicated bodyweight exercises like one leg squats and freestanding handstands. Plus, the single fastest way to progress on both of these exercises so you can get better results then anyone you now with zero equipment. How to properly use tension and relaxation to your advantage so you can build maximum strength and endurance at the same time! A unique breathing method that will double your endurance, increase the amount of work you can do in less time and teach you how to recover faster from grueling metabolic workouts. The easiest way to program your workouts so you know that you aren’t wasting a second of time and you end up getting the best results possible. A complete follow-along play based training workout that will teach you how to have tons of fun while learning to move like an acrobat at the same time. A simple to follow nutrition program that optimizes your body to be in fat burning mode that doesn’t require 5 or 6 meals a day, doesn’t demand you go low carb and doesn’t demand you track anything at all. It’s sooo easy and yet sooo effective! Say goodbye to injuries with a never before revealed body bulletproofing routine that safely takes you through common positions of compromise and strengthens joints, tendons, ligaments, bones and muscles in ways that no other exercise can ever do… EVER! The EXACT follow along ADVANCED visualization routine Logan use to help one of our attendees go from the occasional muscle up to reps in only 5 minutes! And if that’s not enough, we wanted to go above and beyond for everyone who decides to claim access to these videos by adding the personal touch of a live coaching call where we answer all of your questions and help you get the most of this program. It is important here to note that this seminar was a one time only event and these people paid as much as $850 to fly out and learn this valuable information from us. In addition to this, we are not making this product permanently available as we would prefer to only teach the secrets we’ve spent our life and money learning to serious people who know good information when they see it. Just so you know, you could try to collect this information on your own but you would have to spend thousands of hours and tens of thousands of dollars to maybe come close to learning the information we shared in this video series. And… We hate to have an ego but the reality is, even if you took the time and spent the money to try and learn all of this on your own, remember that there are 3 of us sharing information in these videos and each of our own personal experiences makes up the puzzle the led to the sheer amount of mind blowing information being revealed at this once in a lifetime seminar. By now, you may be thinking to yourself how much access to these videos could be worth… $400, $600 Or Maybe even $800 which is what some people spent to learn these secrets first hand. The Truth Is… Since this was a once in a lifetime event, if you wanted us to teach you everything you can learn from these videos in person, you would have to pay each of us our one day coaching fee of $997. That means it would cost you $2991.00 to get all of us in the same room for a day to teach you these No B.S. Secrets. Now… We’re obviously not gonna ask you for $2991.00 to get access to this information. 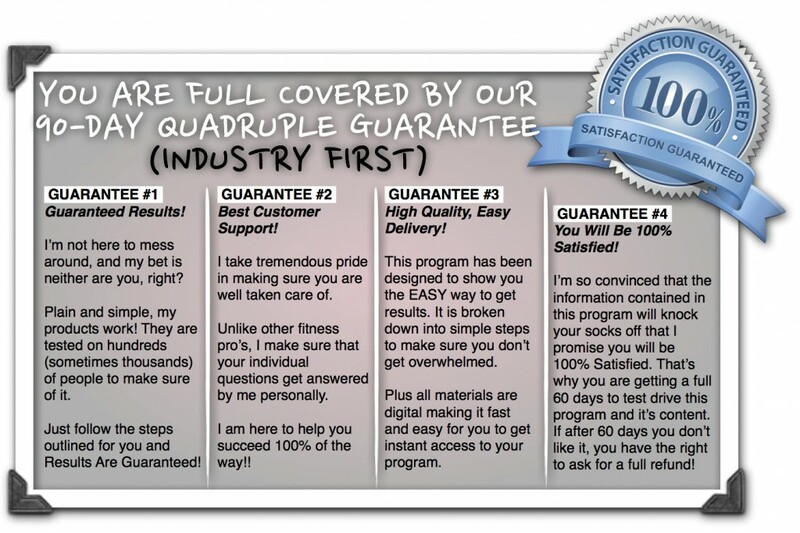 Heck… we’re not even gonna ask you for $400 or even $200… We want serious people like YOU who really want to get the best results possible to be able to afford access to this information and that’s why right now, while supplies last, you can get access to all 6+ hours of information for much less. All you have to do to get instant access to this information is select your option below and it will take you to a safe, secure order page that looks exactly like the image to your right. From there, click the “Check Out” button and fill in your information on the following page. Then click the “Submit Order” button and you will get instant access. Ohh, and if you decided to go with the platinum package and get the hard copy DVD set, we decided to throw in, as a free bonus, the digital copies of all of the videos so you can get instant access and get started right away. Let’s be honest here. You’ve probably spent the same amount of money that will get you access to these 6+ hours of videos on something that ended up being totally worthless. You can afford this. And if you’re at all serious about getting the best results possible in your workouts then you’ll realize that this deal is a no brainer. But if you’re not willing to invest what it would cost for you to get a nice meal on the town for this type of advanced information that will save you more then a decade of searching and get you insane results, then quite frankly, access to these video is not for you. Because you and I both know that you won’t act on the valuable information that you’ll learn when watching these videos and so we don’t want you to have this information. Finally Know The TRUTH About Your Workouts And Build The Strong, Lean And Shredded Body You Always Wanted! Keep training hard and remember to train smart! P.S. Remember… we are personally guaranteeing that when you watch these videos, your mind will be blown away at the level of the information we are sharing. And that is you apply this information into your workouts, your results will skyrocket. There is No B.S. and No Fluff, just the TRUTH about the best way to eat, workout and get results! Q: What makes the information you share in these video different from everything else I read? A: Trust us when we say that the information you will learn when watching these videos is pretty unique. Sure you may have seen some of it before if you are obsessed with performance like we re but some of it will be so foreign to you that it will knock your socks off! A: You can google any one of us and all you will find is awesome reviews, piles of testimonials from people we’ve helped and an overall train of success from anyone we’ve helped coach along the way. Go ahead… google it and see for yourself. Q: Is this program just for guys, or can the ladies use it too? A: Everything we taught at this exclusive seminar is for both men and women. In fact we had several serious ladies at the seminar, a couple of them even trainers themselves who all were mind blown at the level of information we shared. The bottom line is this works on everyone! Q: Am I gonna know how to create my own workouts after watching these videos? A: One of the video included in the enormous package is dedicated exclusively to program design. In fact, Travis takes you through his EXACT methods as to how he programs workouts for himself, his private clients and his bootcamp. We’ve definitely got you covered! Q: How come only 16 people came to your seminar? If you guys are such high level coaches, why didn’t more people come? A: To be honest, it costs a lot of money for most people to travel to a one day seminar and so the cost prohibits most people from being able to attend. However, we all agreed that we wanted this event to have a personal touch and so we decided before we signed a single person up for the seminar to cap the event at 20 people. Q: Will the information in these videos help me to lose fat? A: Not only will you learn everything you need to know about working out and creating an effective routine, you will also get a complete nutritional template that you can use to pretty much get as lean as you desire. Q: I don’t have any equipment, can I still use this information? 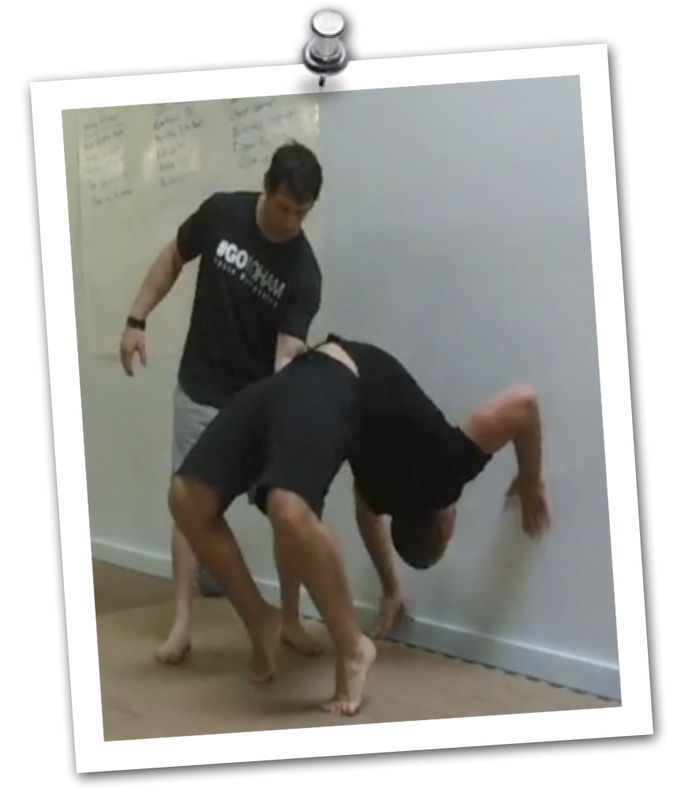 A: More then half of the training information contained in this video series is bodyweight and requires ZERO equipment. So… Yeah, you can do it pretty much anytime, anywhere. Q: I’m really interested, but I’m worried that it won’t work? A: Listen, if it doesn’t work then all you have to do is let us know in the first 90 days and you can get a full refund. If you purchased the limited DVD set then all we ask is that you send it back to us and you will still get a full refund. There’e not any risk on your part, but there is a ton of information to gain! Q: I’m bummed I missed the seminar, are you ever gonna hold this seminar again? A: Unfortunately at this time we have no plans to redo this seminar. We may in the future get together and hold another event, but the information we shared at this event will likely never be repeated. Q: Is this video series for beginners or just advanced trainees?